Lyme Bay RIB Charter operate 2x RIBcraft 7.8m Offshore RIBs powered by the latest 250hp four stroke engines and 1x 8.5m Humber Ocean Pro RIB powered by a 300hp supercharged Mercury Verado. All of our engines are quiet, clean, efficient powerful and fast! Purpose built to bespoke specifications the boats are capable of speeds in excess of 40kts and provide dynamic handling capabilities whilst remaining incredibly safe. 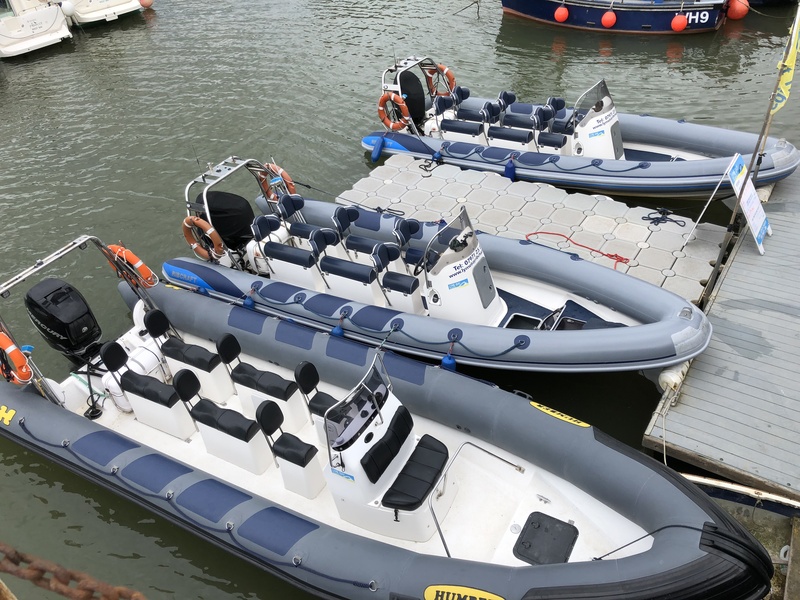 Our RIB’s are fitted with the latest safety and hi-tech navigation equipment, ensuring the highest standards of protection and comfort for passengers. Lyme Bay RIB Charter can also offer a range of waterproofs should the need arise!